Power Tool Gifts for Dad. 7 Unique Gift Ideas +5 more..
Want to surprise your father with a great birthday, Father’s day, or Christmas gift? Well, if your father is an avid home handyman or DIY enthusiast, then you cannot go wrong with getting them some power tools or power tool related products. But, it is not easy for a layperson to buy for an aficionado; after all, they know a lot more about the topic than you do. To make it easier for you, here are some gift ideas that any power tool enthusiast will love. If your dad, husband or brother is a DIY guy or a hobbyist woodworker he will be excited to receive one of these power tool gifts. 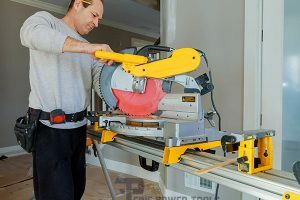 Over the years, I had done shopping for power tools on numerous occasions and I have a pretty good idea on what products and gifts a DIY enthusiast would love to get. While I have included unique ideas, more stress is given on the usability. We men do not need fancy items, but we want things that actually work. If your dad is a power tool enthusiast, chances are he has so many power tools that a simple toolbox cannot hold them all. So, a good gift idea might be a garage organizer. If you do not know what these are, garage organizers are essentially mini desks, with multiple drawers for easy storage of power tools. If you have heard complaints about dad’s power tools being scattered all over the garage, then a garage organizer would be a great gift. Most of us men love our machines and we can often spend hours on it and take great care to keep them in good condition. But when it comes to keep the shop floor neat and tidy, we men often do a poor job. If your dad has sub-par organizational skills, you might also want to pick him up a tool bag to go along with the garage organizer. These are similar to garage organizers, but portable. They keep the tools and equipment safe and organized during transport. If you get one with hand tools set, then it’s perfect. Because every tool has a particular place in the drawer which will automatically force the user to store the devices neatly. If your dad/brother is a handyman or one that travels a lot with his tools, then a portable tool chest is an excellent gift idea. Now, it may seem strange to recommend books on a power tool list, but they can actually be very thoughtful gifts for your dad. There are thousands of guidebooks on Amazon alone, that detail numerous projects that any handyman can attempt with supplies and tools purchased from the local hardware store. If your dad enjoys building things for fun with his power tools (he does not just use them when he has to fix something), then getting him a guidebook full of fun, interesting DIY projects can be a great gift idea. Even if your dad or husband is only into fixing things, there are plenty of home improvement books that will help him. Also, many of the guidebooks are extremely simple and can be easily understood by novices who have never used a power tool in their life; so why not surprise your dad by getting him a guidebook full of projects that you can do together. It will keep him engaged in creative work for many months. Build It With Dad, Handy Dad, and Collin’s DIY Manual are some of the most DIY popular guide books on Amazon. If you have ever seen the inside of your dad’s garage, then you have probably seen your dad’s workbench. This is where the magic happens, any self-respecting home handyman needs a good workbench to work on. So, why no surprise your dad with a portable workbench. These are relatively cheap (they can be found for less than $100 on Amazon), but still amazingly useful. Portable workbenches offer all the work-space that regular workbenches offer, but with the added benefit of being lightweight and portable. You can do almost everything on a portable workbench that you can do on a regular workbench; you can use a circular saw, you can cut wood, you can drill, etc. This would be a great present for dad. Now, I know what you are thinking, “my dad already has a cordless drill.” It is true that pretty much every home handyman has a cordless power drill, but it is also true that any passionate power tool enthusiast can never have enough cordless drills. Cordless power drills are like socks or underwear, everyone has some, but more is always welcome. 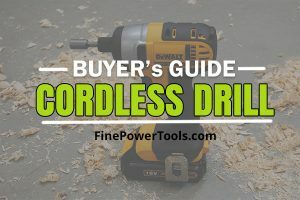 New, better cordless power drills are always being released, so if you buy a brand new cordless drill, there is a good chance it is better than the drill (or drills) your dad already has. When looking for a cordless drill, look for one with a powerful motor, a high RPM (revolutions per minute) rate, spare batteries, and plenty of drill bits. Before you buy a new cordless drill, find out the specification of the drill your father or brother already own. You can get the brand and model number and do a google search to find all the details. Then look for a cordless drill that is better the existing one. In case your dad already owns a powerful drill, why not get him a lightweight one which can be easy on his wrists. If you want a present that is guaranteed to put a smile on your dad’s face, then get him a top of the line cordless drill. And what better way to compliment a cordless drill, then with a drill bit set? If your dad uses a cordless drill a lot (or is planning to use the cordless drill you just bought him), then chances are the drill bits that came with the cordless drill will get worn out quickly. So, a large drill bit set (they are usually sold in sets of 100) is a great gift idea. Drill bit sets will come with all sorts of specialty drill bits, including ones that can be used on different surfaces like stone, wood, or plastic. Also included are various Philips head driver bits and flat-head bits. If you do not know an impact driver is, it is essentially a smaller, but more powerful cordless drill. They are meant for dealing with tight, rusted, or over-torqued bolts and nuts. These are a great gift option because a lot of people do not have one. Even power tool enthusiasts tend to overlook impact drivers. Impact drivers can also be used for drilling holes. They are very handy in removing and driving fasteners that require higher torque. However they lack the precision torque control of cordless drills. You can learn more about impact driver here. These are an especially good option if your dad likes to work on cars, and machines. 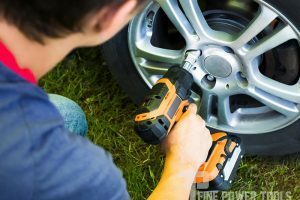 An impact driver can also be used for changing tires or just loosening lug-nuts although an impact wrench is a better option. A good quality circular saw is a power tool used for cutting everything under the sun. Wood, tiles, sheet metal, etc., are all things you can cut with a circular saw. If your dad enjoys building furniture or doing home renovations, then a good circular saw is crucial. If you decide to get a circular saw for dad, then make sure you get one with a powerful motor, good safety features, and high quality blades (HSS and, carbide tipped blades are the best). While they can be a bit pricey (especially high end models), they are a great gift option for power tool enthusiasts. See my recommendations for best circular saw for beginners and professionals. If circular saws are meant for power, then jigsaws are meant for precision. The jigsaw is another specialty power tool that will be of great value to any home handyman. When buying a jigsaw, you will have to consider different factors like whether you want a cordless or corded model, what sort of power and speed level you want, what sort of grip style you want, etc. In case you are wondering how circular saw differs from a jigsaw; the circular saw can cut only along a straight path whereas a jigsaw can be used to cut straight as well as curved profiles. For example; if you want to install a counter-top, you would go for a jigsaw since it can cut curves. Learn more about jigsaw and its uses here. If possible, try getting your dad a jigsaw and circular saw set (some companies will sell them together in a set); this way your dad can have both the power and precision he needs to do any household job. An essential part of many home repairs is the sanding. A good quality sander is necessary for working on anything made of wood. So, to make your dad’s life easier, you may want to consider giving him a good quality sander as a gift. There are a lot of different types of sanders and it can be confusing to pick which one works best for your dad. Personally, I recommend that you grab an orbital sander. In my experience, orbital sanders make sanding jobs easier and quicker due to the unique way they work. No matter what kind of sander you get, your dad is sure to be pleased. Okay, so you have gone through the rest of the list and are still shaking your head. “My dad already has tons of circular saws, jigsaws, and cordless drills, what else can I get him”? Well, if you are wracking your brain trying to think of a power tool to get your dad, you may want to consider getting him a multi-tool; specifically an oscillating multi-tool. A single oscillating multi-tool can do the jobs of 20 different power tools, if not more. An oscillating multi-tool can cut wood, piping, metal, etc. Need to sand something? Well the oscillating multi-tool can take care of that. Need to remove some paint? The oscillating multi-tool can do that. The amount of jobs that a single oscillating multi-tool can do is amazing. These are great gift options because even if your dad already has the tools necessary to do all these different jobs, he will still value an oscillating multi-tool, because it makes doing those jobs easier. If he wants to do two jobs at once, he does not need to lug around a bunch of different tools, he can simply switch attachments on his multi-tool. This more of a tip than a suggestion, but it is something I wanted to mention. When shopping for a gift for a power tool enthusiast, try and get tool kits. Most major companies like Black&Decker, Porter-Cable, Dewalt, etc., sell tool kits, which are essential kits with a bunch of different tools and add-ons in them. They are often less expensive than buying each of the tools individually. They are a great way to get a lot of value for your money, while still giving a great gift. Ultimately, you should not have a huge amount of difficulty finding a good power tool for your father. 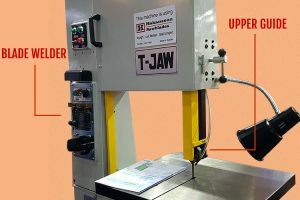 I understand that it can be daunting for an amateur to pick out good power tools, but hopefully this guide has given you some ideas. Also, remember that you can always consult people working at the hardware store, or people on forums for ideas. No matter what power tool you buy for your dad, he is sure to appreciate it.